UTech, Jamaica to Confer Honorary Degrees On Glen Christian and Shelly-Ann Fraser-Pryce — UTech, Ja. The University of Technology, Jamaica (UTech, Jamaica) will confer Honorary Degrees, Doctor of Laws Honoris Causa (Hon. LLD) on The Hon. Dr. Glen Christian, OJ, CEO and Chairman of Cari-Med Ltd., Kirk Distributors Limited and Federated Pharmaceutical Limited and Olympian Shelly-Ann Fraser- Pryce, OD at the University’s Graduation ceremony to be held on Thursday, November 3, November 2016, at the National Arena, in Kingston. Dr. Christian’s extraordinary journey in the pharmaceutical industry began in 1971 as a general sales representative with H. D. Hopwood Limited. He later worked with the company as a medical representative before being promoted to the position of sales manager. In 1986 he established his own pharmaceutical distribution company, Cari-Med Limited, with three employees. Today, Cari-Med is the leading Jamaican distributor of pharmaceutical and consumer goods, with a workforce of over 400 employees. The company’s pharmaceutical division represents seven of the world’s top ten drug companies. In 1995, the company entered into the consumer goods industry with the launch of its Consumer Sales Division, representing such leading international companies as Procter and Gamble, Nestle, Purina and Wrigley. In 2002, Cari-med established its Hospital and Medical Equipment Division as an offshoot of the Pharmaceutical Division, which was in response to the need in the marketplace for a more diversified range of competitively priced, high quality medical equipment and supplies. Following Glen Christian’s acquisition of the assets of Colgate Palmolive Jamaica Limited and the distribution rights for their products, another affiliate company – Kirk Distributors Limited was formed in 2006. Kirk Distributors employs over 224 persons and represents several leading international brands. The company’s portfolio includes major brands such as Colgate-Palmolive, Johnson & Johnson, Listerine and Clorox. In 2012, Kirk Distributors purchased the Kendel brand with its extensive range of food products. Later in 2014, the company acquired Federated Pharmaceutical, a company founded in 1958, as the first manufacturer of ethical pharmaceuticals in the English-speaking Caribbean. A true philanthropist, in 2014, Dr. Christian established the Union Gardens Foundation which seeks to forge public-private sector partnerships to construct state of the art early childhood facilities in low-income communities across Jamaica. An active board member with several organisations, Dr. Christian serves as Director of the Jamaica Chamber of Commerce and chairs that organization’s Pharmaceutical, Medical and Health Committee. He is also a member of the Boards of the Chase Fund and the Mico University College of which he is a graduate, and is Chairman of the fundraising committee of the Healing Ministry of Bethel Baptist Church. Dr. Christian was co-opted as the industry representative to serve as a member of the Board of Graduate Studies, Research and Entrepreneurship at the University of Technology, Jamaica for six years from 2008 to 2015. He was reappointed twice to serve in this capacity upon the request of the Board. Glen Christian’s enviable record of achievement is evidenced by his numerous honors and awards. 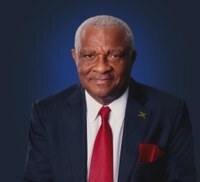 Among them are the Order of Distinction and the Order of Jamaica awarded by the Government of Jamaica in 2003 and 2015 respectively for invaluable contribution to the pharmaceutical industry; his induction into the Private Sector of Jamaica (PSOJ) Hall of Fame in 2014; the Jamaica Observer Lifetime Achievement Award (2012); the prestigious Mico Gold Medal Award from the Mico University College (2010); the Bear Stearns Award for Excellence (2007), the Governor General’s Achievement Award for community service in 1995, among several other prestigious national and international awards. He is married to Marva Christian and has two sons and two daughters. Shelly-Ann Fraser- Pryce, OD took the world by storm and ascended to prominence at the 2008 Beijing Olympic Games, when at 21 years old she became the first Caribbean woman to win 100m gold at the Olympics running 10.78 seconds. In 2012 she successfully defended her 100 m title, becoming the third woman to win two consecutive 100 m events at the Olympics. A holder of many ‘firsts’ in sprinting history, she won the 100 m gold medal in the 2009 IAAF World Championships, becoming the second female sprinter to hold both world and Olympic 100 m titles simultaneously. After winning the 2015 world title in 100 m, she is the only female to be crowned world champion over 100 m three times (2009, 2013, 2015). She is also the only female athlete to hold both titles on two separate occasions (the 2008 Olympic and 2009 world titles, and the 2012 Olympic and 2013 World titles). In 2013 she became the first female sprinter to win gold medals in the 100 m, 200 m and 4 × 100 m in a single world championship. Fraser-Pryce was the first woman to own IAAF world titles at 60 m, 100 m, 200 m and 4 × 100 m relay and is the only woman ever to hold them all simultaneously. In 2014 she won the World Indoor Championship in the 60m, becoming the first woman in history from any nation to simultaneously hold reigning World Championship titles in the 60m, 100m, 200 m, 4 s 100 m and Olympic Champion in the 100 m.
Fondly known as “Pocket Rocket,” owing to her small 5ft stature and powerful starts out of the blocks, the acclaimed athlete is ranked fourth on the list of the fastest 100 m female sprinters of all time, with a personal best of 10.70 seconds, set in Kingston, Jamaica in 2012. Shelly-Ann Fraser-Pryce has been the recipient of numerous local and international awards and accolades. She has won the Jamaica Athletics Administrative Association's Golden Cleats Award for female Athlete of the Year on four occasions: 2009, 2012, 2013 and 2015. She has also received the RJR National Sportswoman of The Year award three times, in 2012, 2013 and 2015. She has been nominated for the Laureus World Sports Award for Sportswoman of the Year on four occasions: 2010, 2013, 2014 and 2016. Following an outstanding 2013 season, Fraser-Pryce was awarded the highest award in track and field athletics by being named the IAAF Athlete of the Year. She earned the title after becoming the first woman in history to win the Triple World Sprint Championship having achieved gold medal wins in the 100m, 200 m and 4x 100 m at the Championship in Moscow. In 2008, she was conferred with the Order of Distinction, Officer Class by the Government of Jamaica. In 2008, she also received the Prime Minister’s Youth Award for excellence in Sports. In 2010, she was named the 1st UNICEF Goodwill Ambassador for Jamaica. In that year, she was also named the Grace Goodwill Ambassador for Peace. In September 2014, the Prime Minister of Jamaica conferred her with the title of Ambassador at Large for Jamaica. Choosing to stay in Jamaica and study at the University of Technology, Jamaica and train with the MVP Track and Field Club, Shelly-Ann demonstrated that it is possible to balance the rigors of academic study along with her obligations as a professional elite athlete. 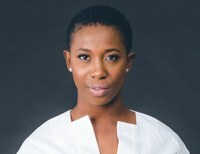 In 2012, Shelly-Ann graduated from the University of Technology, Jamaica, having earned the Bachelor of Science Degree in Child and Adolescent Development with honors. At that November 2012 Graduation ceremony, she was appointed the first University Ambassador of the University of Technology, Jamaica (UTech, Jamaica) in recognition of her demonstrated excellence in athletics and in national service. In 2011 she married Jason Pryce. UTech, Jamaica is proud to formally honour these two outstanding Jamaicans who have achieved international distinction in their respective fields of endeavor.